In this day and age of music cross-pollination, Claude vonStroke sits at the forefront of all that is good, proper and most importantly, fun. Not only touring around the world, playing at renowned festivals and after-parties. Claude VonStorke also happens to be the owner and operator of seminal dance brand, DIRTYBIRD, where he continues to surprise and innovate in the underground dance scene, releasing an enigmatic combination of house, funk, dirty-bass, and electronica. We had the pleasure to trigger some good old memories in him, reminiscing about drunken encounters, and his first Ibiza experience. If you would like to catch some of his fun and funky vibes. 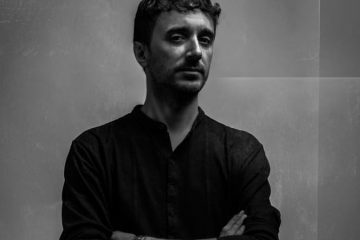 See him playing on Friday the 3rd of August with Music On at Amnesia Ibiza, where he will occur next to Marco Carola, and the Music On trio of Joey Daniel, Neverdogs, and Leon. We’re speaking ahead of your August Music On appearance at Amnesia Ibiza. Though your first of the season, this won’t be your first Music On appearance overall. What have been some fond memories of performing with Music On? I had an amazing time playing the MusicOn festival this summer in Holland. That was so cool and really well organized as well. When Music On took Fridays in Ibiza a few years ago I started going to the night. Then, last year I was invited to play for the first time and it was on my birthday so we went for it! So fun. After many years of playing We Love Space, Enter, Paradise, Circoloco, Dirtybird at Sankeys, and many other parties I always thought of the Amnesia Terrace like the Holy Grail of DJ bookings. 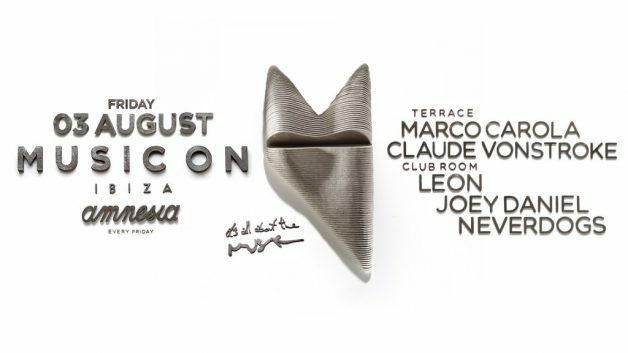 I don’t know about everyone else but I started coming to Ibiza in the heydays of Cocoon and I always thought of it as the big showcase room on the island for underground house and techno DJs. So when MusicOn started becoming the best night on the island at Amnesia, it became a dream of mine to play it. Where do you see Music On within the wider electronic music landscape? What space do they occupy, in your opinion? I think they have opened up the bookings to go along with their mission – which is to make it all about the music. They are not limiting it to German or Spanish or UK fans only they are creating a more global audience. I am much much more popular in America so maybe they see me as a way to bridge the American audience because more and more people from the states are coming to Ibiza every year. I see it more as a global brand (which is very hard to achieve). 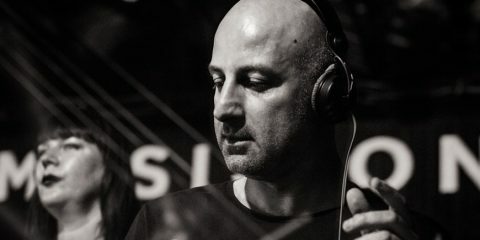 What was your first introduction to Marco Carola? I was drunk and I got into the booth at Music On and just went up to him while he was Djing and said hello. If you know that booth you know that’s not really how you are supposed to operate! But hey, I did it anyway. Later on, he was late for a huge show in the UK and I filled in for him for about 45 minutes. I had already played and he was closing the stage I think, so I went in and did my best. For a long while, we both had nights at the same club in Miami as well. 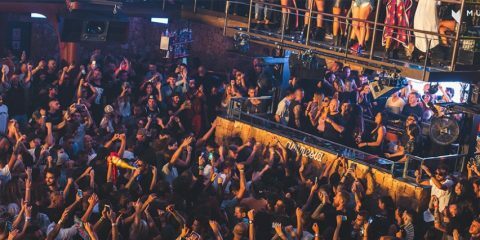 How do you view Amnesia Ibiza as a space? What are some aspects of the club that make it distinct to Ibiza? Both rooms are massive and both rooms can just heave like no other club I’ve been to. Its one of the very few places I’ve been multiple times and stayed until closing as a fan when I’m not DJ-ing. It’s a moody club it can be your best friend or your worst friend. Its the only club on the island where I’ve been both turned away at the door and also let into the deepest access possible on different occasions. There is a vibe in there that the club is actually the star. Sometimes the staff can take this vibe a bit too far but hey, do I always have fun. Yes, absolutely. 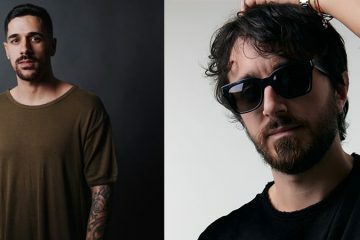 How do you prepare your sets in Ibiza vs. in the US? Is there a difference? I would not come into MusicOn and play a set that I would play at a Dirtybird BBQ. But I would play a set that I would play at a club like Space in Miami or Output in New York. The differences are not so huge anymore. I have a very broad taste of tunes. I will still play a couple DIRTYBIRD bangers but the path to those could take a little longer and be more subtle in Ibiza. Do you remember your first trip to Ibiza? Was it as a professional or did you ever visit as a tourist? I came to play Circoloco in 2006, back when the terrace had no roof and life was good, haha. They contacted me on MySpace after Who’s Afraid of Detroit? came out. I blew it because I had no idea what I was doing but the experience was still amazing. Regarding the European continent, where would you say the Dirtybird sound has been most embraced? Do you think you will ever bring a campout or BBQ event to Europe? I have a hard time answering that because my managers always think its the UK but there really is no proof of that. Most of my best shows are in Berlin or Ibiza or France and only sometimes in the UK. I think we will bring the BBQ back to Europe in 2019. It has been more than 5 years since the last one in London. No one will remember but we had an Ibiza night at Sankeys (back when Sankeys was an absolute nightmare). I think after that negative experience I mentally checked out of Europe but I’m totally ready to be back! How do you maintain a sense of mindfulness while in the midst of full travel responsibilities? I have a little checklist every morning that I do when Im traveling or not traveling — it includes a quick exersise circuit (literally under 5 minutes), then I write something in my journal, then I meditate and go through my goals for 10 minutes, then I make a beat on my iPad or whatever piece of gear is around. The list also includes playing with my kids and saying something nice to my wife but I can only do that part when i’m not on the road.